There is no question about it that one of the most innovative and world-changing technologies to rise to prominence in the past several years has been that of 3D printing. This revolutionary system of creation and production has completely rewritten the landscape of several modern industries. Slowly but surely, it has even crept its way into the firearms and ammunition industry with the rise of the 3d printed gun. Yes indeed, we now live in a world where firearms can literally be printed piece by piece to be assembled into a fully functioning weapon. As a fully licensed NH gunsmith, we find this technological revolution to be absolutely fascinating. When most people think of 3D printing, they tend to think of objects made out of plastic. While this is certainly a popular material to print objects out of, it is also possible to 3D print objects out of metal, and it has been for a while now. In fact, it has been over a year now since the world bore witness to the arrival of the model 1911 from Solid Concepts, the world’s first metal 3D printed handgun, as well as the first to flawlessly fire over 5,000 rounds of ammunition. Now, a year later, they have created another model 1911, this one a 10mm auto called Reason, that is also 3D printed out of metal. >A license from the ATF is required to engage in the firearms business. >Non-sporting semiautomatic rifles or shotguns may not be assembled from prohibited imported parts. >Armor-Piercing Ammo may only be manufactured or imported for the use of the federal government. >Firearms made personally may not be classifiable as undetectable. A firearm is considered undetectable if it cannot be found via X-ray scan or metal detection devices. Ipso facto, it is federally illegal to manufacture firearms that are completely made of plastic – there must be, at a minimum, a metal strip within the weapon that would be picked up by a detector. This restriction may change in the future, but for now that is the way the laws seem to stand. 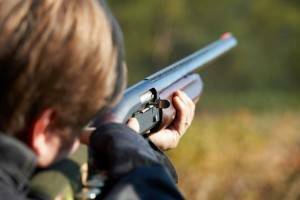 While making your own weapons, whether it be for experimentation or as a hobbyist, is certainly going to continue in popularity, we here at your chosen New Hampshire gun shop will always be here to provide you with the high quality professionally manufactured firearms and ammunition you have come to know and expect from us. The way firearms are made may be changing, but our dedication to our customers never will. Come and see us in Mason, NH today!